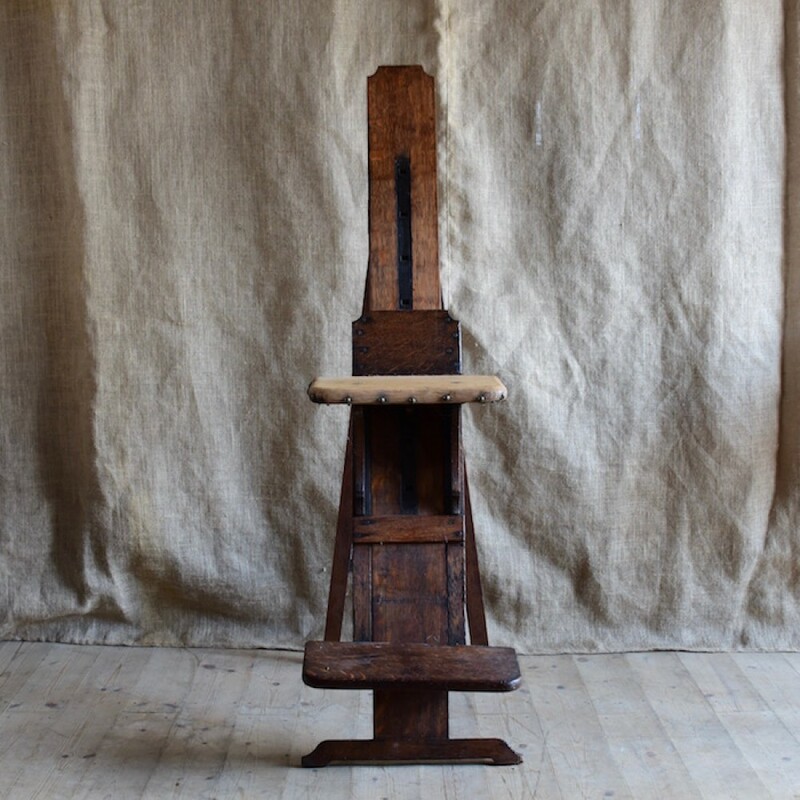 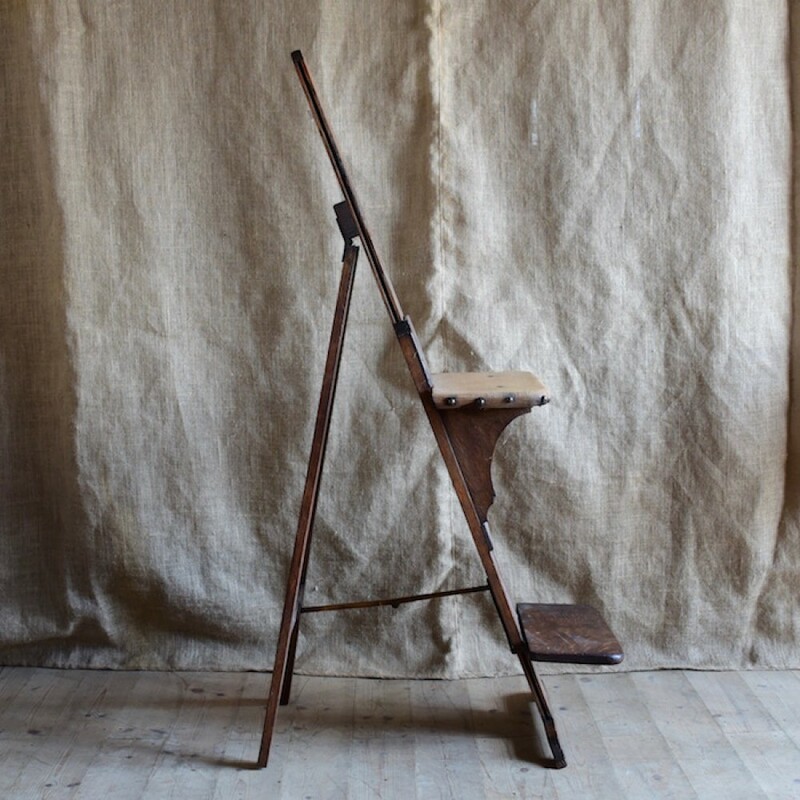 A rare oak easel seat with ratchet locking adjustable height. It is identical to one Iocated in the U.S made by Lechertier Barbe and Co, Regent Street, who sold artists supplies. This one has a foot rest which although contemporary, I suspect has been added later - it doesnt feel completely "original" but fits very nicely. 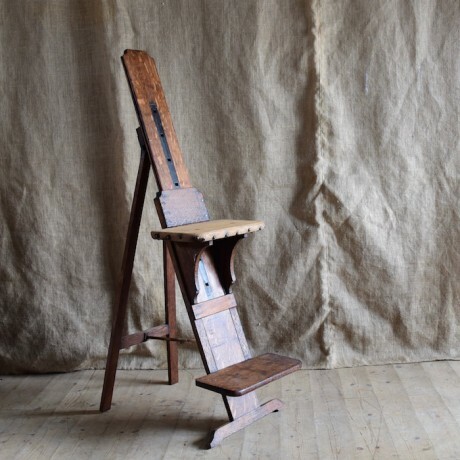 The seat was originally padded leather but in very bad condition so, now stripped back to the original oak, it can be re-covered quite easily if needed.